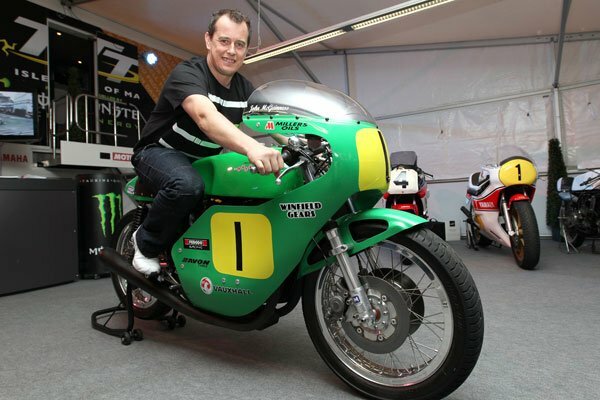 Undoubtedly the greatest TT rider of his generation, McGuinness is the second most successful rider in TT history with 19 victories, two of which came during the 2012 event. The current TT Mountain Course outright lap record holder was the first man to lap the circuit at 128, 129, 130 and 131mph and is unbeaten on a Superbike at the TT in 9 years. His support for the Classic TT is a major boost for an event in its inaugural year. John will ride Roger Winfield’s exotic BIC Paton machine, taking over from the previous rider of this machine, the recently retired Ryan Farquhar. Together Winfield and Farquhar have taken five race victories at the Manx GP with this bike, and fans will no doubt be looking forward to seeing the ‘Morecambe Missile’ make his classic racing debut on the Italian built machine next August.